Buyer Beware: Don't Buy Invasive Plants! 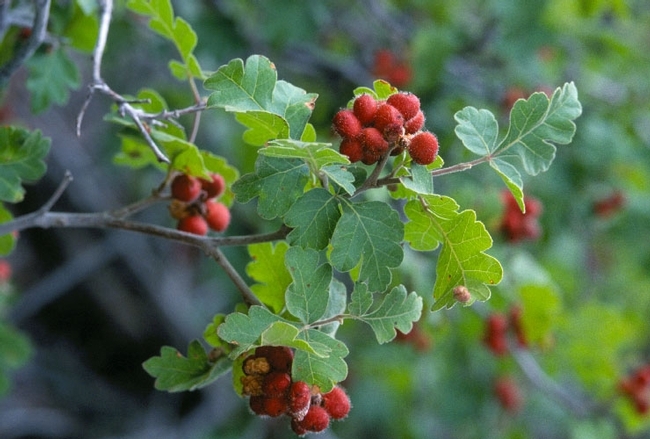 Buyer Beware – Is that an Invasive Plant? Have you ever wondered how many of your garden nursery purchases are potentially invasive? Not ever? Well me too - that is until I took a closer look at invasive species. Amazingly, in the United States 85% of the intentional introductions of non-native plants have been for landscape use and it's from these non-natives that we find our invasive plants. It's also astounding to consider that commercial nurseries propagate some of these invasive species as ornamentals. 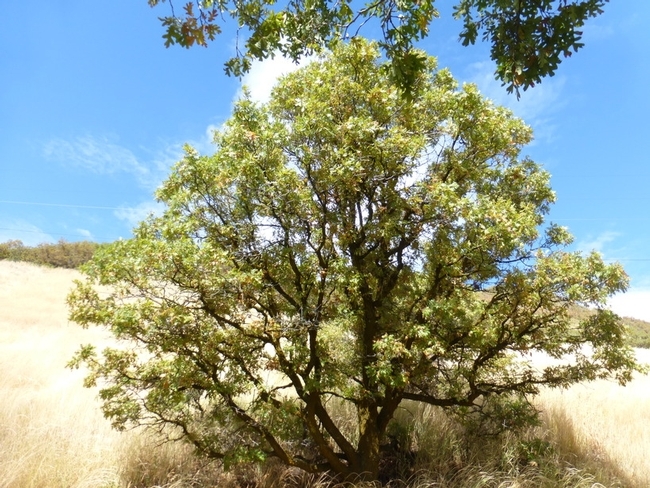 California is home to 4,200 native plant species and recognized worldwide as a “biodiverse hot spot.” There are approximately 1,800 non-native plants growing wild in California with 200 of these considered invasive. The problem is that people don't know they are buying invasive plants. The home gardener's first motive is that they are buying for aesthetic value and there is little information available indicating whether the plants are invasive. Buyer beware! 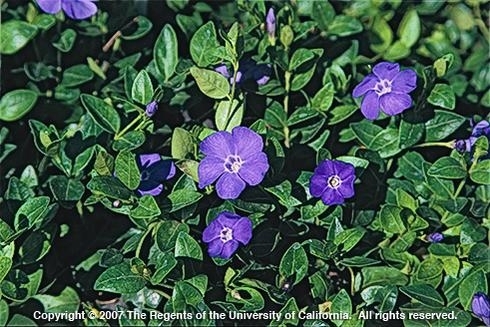 Invasive - Periwinkle (Vinca major) a tough competitor with an aggressive rooting system off each node on its sprawling stems. 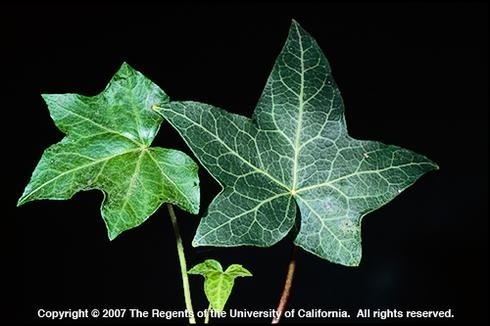 Invasive – English ivy (Hedera helix) is a vigorous, fast-growing vine. 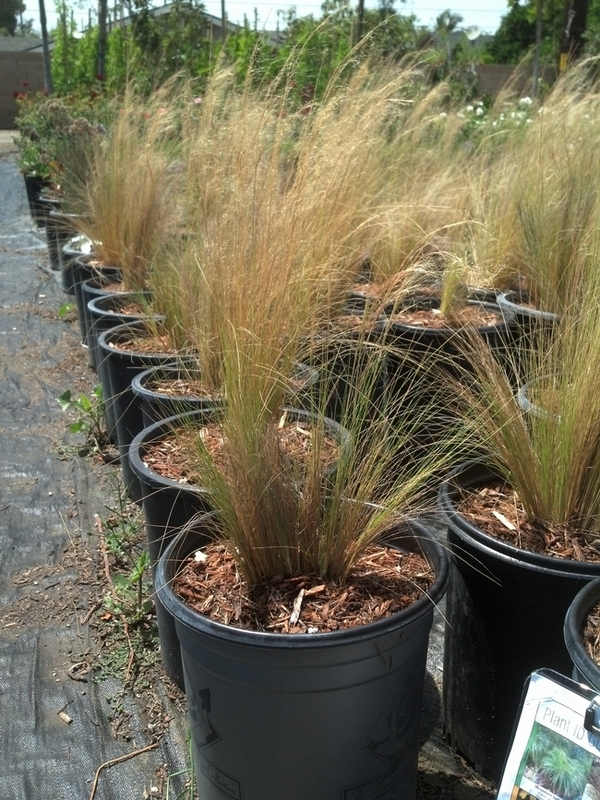 Invasive - Mexican Feather grass (Nasella or Stipa tenuissima) – this plant produces abundant seeds that remain viable for a minimum of seven years! 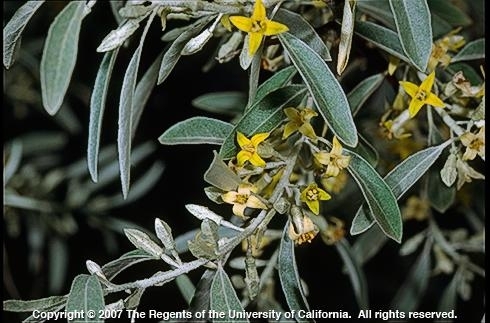 Invasive – Russian olive (Elaeagnus angustifolia) is known as an ornamental shrub with silvery-grey leaves that can grow into a 20-foot or more tree. It out competes with native vegetation and birds easily spread the seed as it provides desirable forage. Plant instead Desert willow (Chilopsis linearis). 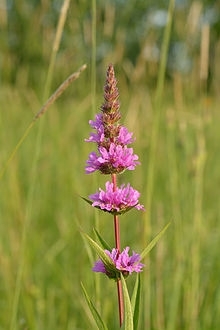 Invasive – Purple loosestrife (Lythrum salicaria) – lovely purple blooms that one mature adult plant can produce one to two million seeds each year. To sum this up, do the research and don't buy invasive plants. The benefits are huge. Buying non‑invasive plants protects not only your home landscapes but also your local area's native plants and wildlife. You become part of the solution versus the problem. You can also help rescue Inyo/Mono counties open space by assisting the local California Native Plant Society, the Eastern Sierra Land Trust, and Friends of the Inyo to manage or eradicate invasive species in our region. By doing this you will help sustain local open spaces or maintain the health of our waterways. 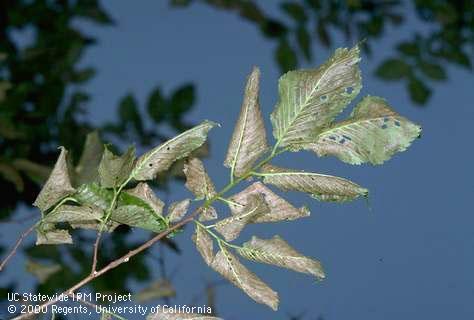 This is the time of year that folks get concerned about defoliation of their elm trees. Usually the culprit is a small yellow beetle called, appropriately enough, the Elm Leaf Beetle. It eats elm leaves. The adults cause small shot holes in the leaves, but the larvae will turn a leaf into skeletons. That's what we're seeing now in late July and early August. The larvae have big appetites! This is the second generation of the pest this year. The first happened in June. Soon the larvae will crawl down the tree to pupate and repeat the cycle once again. Aberdeen and points south will probably have 3 generations this year. Bishop and Big Pine may also have 3 if the weather stays warm and we have a long autumn, but usually have 2 generations since the growing season is shorter. There isn't much point in spraying the tree canopy now or using systemic insecticides this late in the season. If you notice the larvae crawling down the tree, it is probably worthwhile to do a band spray on the trunk with an approved insecticide. This is about when that happens on average in Independence and Lone Pine. Big Pine and Bishop are a week or two behind. Since the heat started early, we may be sooner than average this year. The only way to know is to inspect your trees often. Temperature drives development of this pest. If you notice an accumulation of pupae at the base of the tree, vacuum or sweep them up right away. Largely this is a pest of humans more than elms if your trees are otherwise healthy. They aren't doing the tree any good, but most of the problem is the mess and lack of foliage in landscapes. Keep that in mind if you decide to treat. 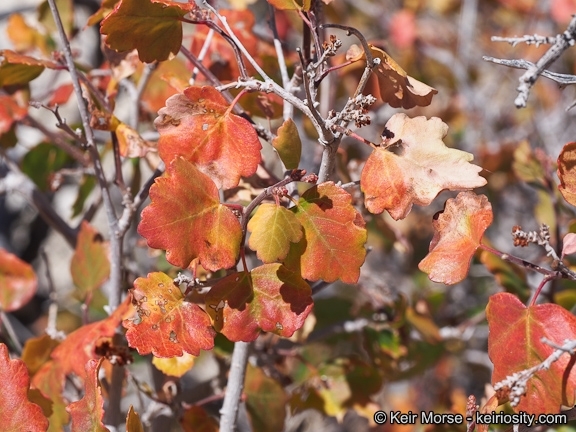 There are dozens of elms in Owens Valley that get these every year and never get treated, yet are still alive and well. 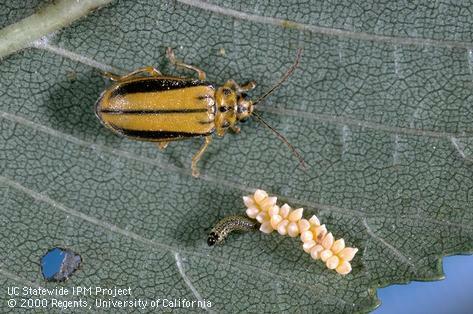 You can find a lot more information about these insects on the Elm Leaf Beetle page at the UC IPM program website. It includes information that can help you to decide whether to attempt control of them. A recent project that I've been working on has made me aware that there is some confusion about how to use hardiness zones. First, let's talk a bit about what hardiness zones are. Each plant has inherent resistance to a minimum cold temperature in mid-winter. 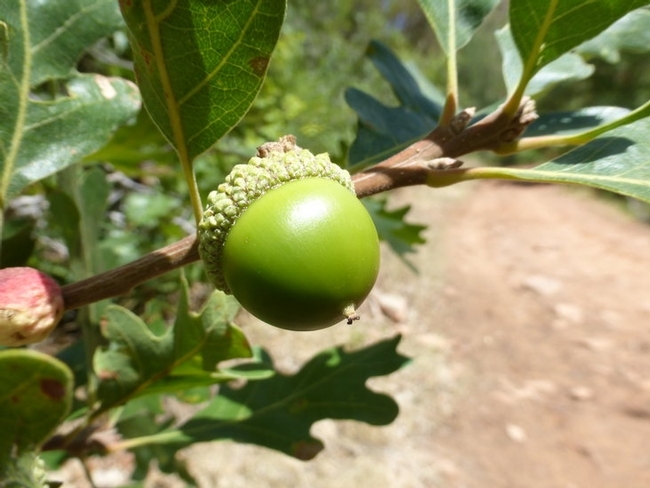 This, more than almost any other factor, determines which plants can grow in a given climate. For example, lemons are not hardy in the Owens Valley. Nor is papaya. The cold weather kills the plants. Can't grow them here. Period. To get an idea of how cold each locale gets, we use a system of dividing the USA into a series of zones delineated, at 10 °F intervals, by the average minimum annual low temperature for a 30-year period. This map is derived from weather data and is available here. (And elsewhere.) If you're in Zone 7, the average minimum temperature in a year will be 0 °F. Zone 6 is -10°. Most of California is fairly mild due to coastal influences, but we're quite a bit colder so hardiness is important in the Eastern Sierra. Because of the important role of hardiness in plant selection, it is the primary criterion for plant for most of the USA and Canada. Since we have lots of data on hardiness both in terms of understanding plant species AND the local climate we often find nurseries and catalogues group plants by their recommended zones. Here's an example: One of the nation's largest nurseries, Monrovia, has a plant selection tool for their product line. On the top row of options to filter the catalogue is "USDA Cold Hardiness." There are dozens of similar resources online for woody plants and perennials that you can find on Google. Looking at my data, the thing that seems to confuse gardeners most is how to put to use the hardiness descriptions for plants. Most catalogues and reference materials will say something like "USDA Zones 4–8." And that's where the confusion creeps in. Marjoram is sometimes used to treat minor ailments like cough and sore throat. It's also used in regional Italian and Greek cuisine. Marjoram is related to oregano. This means the plant is grown successfully in USDA hardiness zones 4 through 8. Whether you grow it in Zone 4 or Zone 8, it is still a plant hardy in mid-winter to -30 degrees F. The reason there is a range is to guide our plant selection. This plant doesn't just grow in Zone 4. It also grows well in Zone 5, 6, 7 and 8! If plants only grew in one zone, then Lone Pine would have entirely different plants than Bishop. But that's not what we see. Why not 9 and above? Well, maybe it is typically too hot overall there in those warmer zones. There's no telling why, exactly, from this. It's a guide of where the plant is commonly grown. So when you see a plant description that says "Zones 5 to 8" that means it's hardy to Zone 5 conditions (-20°) but it can be grown in Zones 5, 6, 7, and 8. It doesn't mean there is an average hardiness of Zone 6.5 or that we're not sure but it's somewhere between the two extremes. Generally the safest bet is to chose plant materials that are suitable for both a colder and warmer zone than your location when a span is listed. So If you live in Zone 6, a plant hardy in Zones 4 — 9 is probably a safe bet in terms of cold and heat tolerance. * If a plant just said "Zone 4" and you planted it in Zone 6 it would still be hardy. In most of California, resources like the Sunset zones are more useful, but here in the mountains Sunset zones can be overly conservative and we have great differences due to elevation in our two counties. Instead of Zones it would be more useful to have a statement of "Hardy to -10°F" in plant descriptions, but historically we've used this system because it's easy to convey which plants work, and most states have a more homogeneous climate than California. Now you should be well armed to choose plants for your landscape. *If you really like the idea of climate zones, there is also a Heat Zone Map for you to consider as well. Hellebores, with their neat mounds of evergreen foliage and showy flowers in early spring are hard to beat as plants to cheer up shady spots under trees or on the north side of a house. They are members of the Ranunculaceae family and are generally native to southern and eastern Europe. Clumps of handsome leaves about 12 inches high produce many stems of nodding flowers early in the year. These are rather similar in shape to a cupped wild rose, but close inspection shows that what appears to be petals are in fact sepals. As is often the case where sepals are the showy part of the plant, this has the advantage of giving a prolonged blooming season with the “flowers” staying in good shape for several weeks. The mainly green or white colors of the wild plants have been improved by hybridization and now include a vast array of pinks, slate gray, maroon, spotted and picoteed, but they generally revert to green as they age. Double flowered varieties have also been introduced. Although they are poisonous to humans and animals they all have productive nectaries and are beloved by bees which will visit in large numbers on warm days. Unlike most shade-loving plants, hellebores prefer a slightly alkaline soil in order to thrive. They do require regular irrigation and a mulch of leaf mold to help retain moisture is beneficial although large clumps can tolerate occasional drying out. The clumps are tightly formed, so they do not invade their surroundings but they resent disturbance once established so a mature plant will often take a couple of years to recover if it is moved (that is, presuming it survives). Likewise it is almost impossible to split a mature clump successfully. However, they frequently seed in large numbers around the parent plant, and it is a simple matter to dig up and transplant the seedlings, but of course the hybrids will not be the same as the parent in color or form. Hellebores are not touched by deer or rodents, and are renowned for being pest-free; however, in my garden H. orienalis has had a quite serious aphid infestation in just the past two years, perhaps due to the mild winters. Helleborus orientalis and its hybrids (sometimes described as H.x hybridus) need some winter chill and comfortably grow in Zones 6 and up. They have the widest selection of colors and are probably the most commonly grown and, therefore, most likely to be found in local nurseries. This species is often called the “Lenten rose” (although, of course it is not related to roses) and in my Bishop garden it generally produces a generous crop of 2 inch, white, cupped flowers between March and April. It happily grows as a large clump of dark green leaves on the north side of the house which is mostly in the shade, but between the equinoxes it does get a blast of afternoon sun which sometimes burns the leaves. 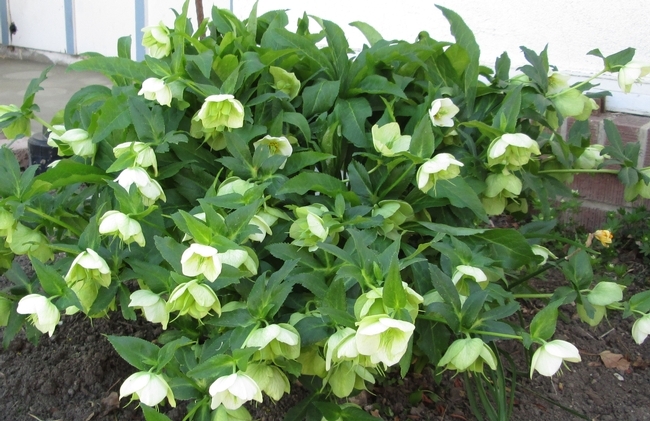 Helleborus niger or "Christmas rose" is winter hardy to zone 4 and is lower growing and produces glistening white flowers with yellow stamens in mid-winter. Variety 'Potter's Wheel' has larger flowers than the species and is much sought after, but it is hard to propagate. There are also pink and double flowered varieties. This must have alkaline soil, be protected from strong direct sun, and have a reliably moist soil. Helleborus argutifolius or Corsican Hellebore grows in Zones 6-9, has coarse, blue-green toothed foliage and clusters of green nodding 2” flowers held on 2ft-3ft long stalks which have a tendency to sprawl. It can become almost shrub-like. Although more sun tolerant, it is not as hardy as the previous two species but has grown under heavy shade on a west-facing wall in Bishop for 6 years without mishap. Helleborus foetidus or the Stinking Hellebore, is often grown more for its foliage than its flowers. Clusters of small, bright green flowers on long stems arise from clumps of handsome, evergreen foliage. Newer hybrids have been bred to produce interesting foliage such as finely divided leaves or bronze coloring. The plant is hardy to Zone 5, although the flowers will be damaged in those temperatures.